this weekend i hosted a dinner party at our house for seven people. we have a group of friends that come together every now and then and we cook for each other. it's kinda like an 'american party' where everyone brings their own dish. this is an excellent way to try and experiment with new recipes and ideas. it's also very fun to try new dishes that the guests bring. this time i was in charge of dessert. here's the dessert i came up with. it's fun, easy, inexpensive and can make a big entrance. and don't mind the calories... enjoy! 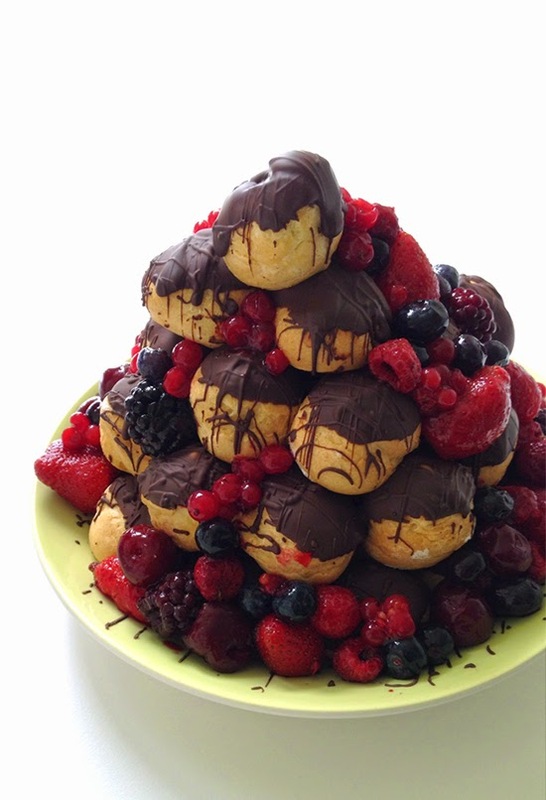 find a plate to 'test stack' your cream puffs. it has to be big enough to hold all the puffs, but don't get one too big. you want to build a tower and get some hight. when you've build your tower, break it down again and put the cream puffs in a bowl. 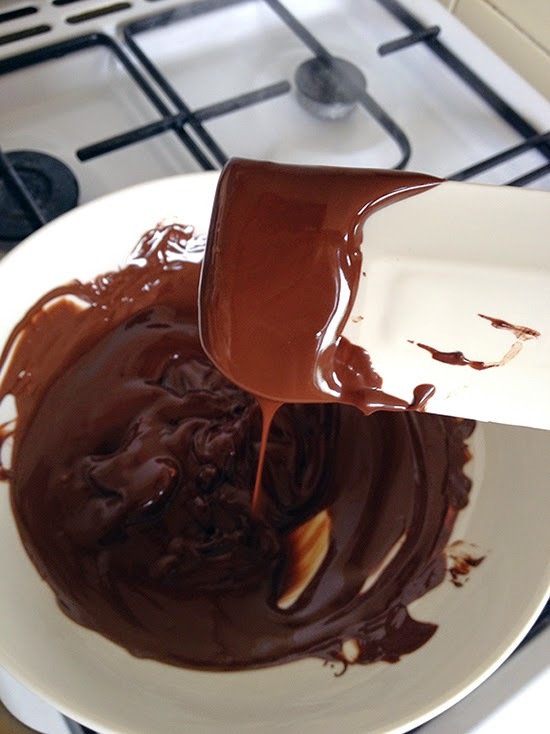 now start melting the chocolate au bain marie. 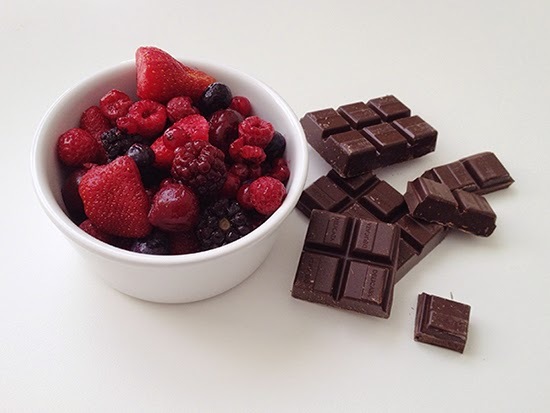 when the chocolate is all melted, turn off the heat. 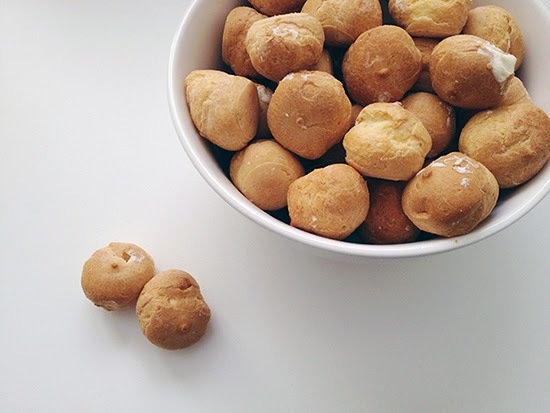 take your first cream puff and dip the top of the puff in to the chocolate. place the cream puff on the plate with the chocolate side up. repeat with all the cream puffs until the last one is on top. when you're done with the tower, the chocolate has probably already dried. start decorating the tower with fruit, filling up the little holes. if you have any chocolate left, drizzle this all over the tower. and you're done! i served this dessert with some vanilla ice cream. you can also put some powdered sugar on it or decorate with some pretty flowers. many variations are possible. surely it's gonna be a hit. Bedankt voor je reactie Sarah. Fijn dat het goed is gelukt! Veel succes met het maken van je eigen variant.